For Eily, Michael and Peggy the memory of the famine is still strong. 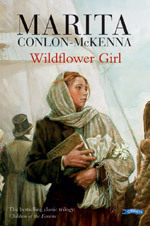 But Mary-Brigid, Eily’s first child, has the future to look forward to. What kind of future is it? 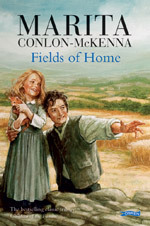 Here’s a link to another page that has extra information on Fields of Home for projects, homework and further reading. 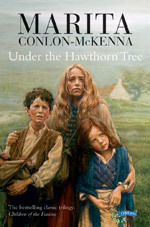 The other titles in the Children of the Famine trilogy are Under the Hawthorn Tree and Wildflower Girl. It’s always interesting to see how covers change over the years or what ones are used in different countries. Here’s a selection to look through.